Wireless headphones are officially in our good books. It's been a long time since the days where wired headphones could claim superiority - the sound quality, usability and style have more than caught up. 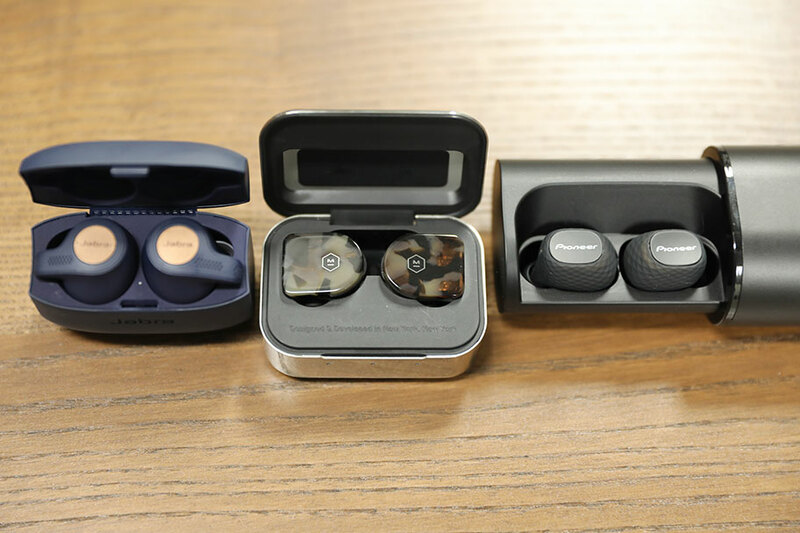 Whether you rock a big over-ear pair, or prefer to move with a discreet pair of wireless buds, there's something for everyone out there. And in this list, we've put together the absolute best wireless headphones available right now. For more background information on wireless headphones, see our comparison table and buying advice below the picks. What We Like: The WH-1000XM3s do everything well - and we do mean everything. What We Don't: They remain reasonably expensive in comparison to lesser models. These are best pair of wireless headphones currently available. No question. Sony's WH-1000XM3s tick just about every box we can think of. They not only offer outstanding sound quality, but also superb functionality. You can use the smartphone app to create your ideal mix of noise-canceling, ambient sound, and EQ, and the design and physical controls of the headphones are an absolute dream. They are light, at nine ounces, and have some of the best battery life of any pair of headphones we've ever tested. With the noise-canceling on, they will last a little over 28 hours; compare that to 20 hours for the $389 Bowers & Wilkins PX. What We Like: The best way to block out the world. What We Don't: Sound quality suffers in comparison to other models. 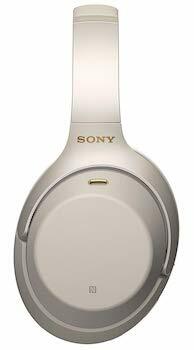 The general consensus in the audio world is that the Sony WH-1000XM3s, above, have better noise-canceling than the Bose QuietComfort35 IIs. Objectively, this may be the case - the scientific measurements bare this out. But data isn't everything, sound can be subjective, and in our opinion, the Bose offer more appealing cancelation. 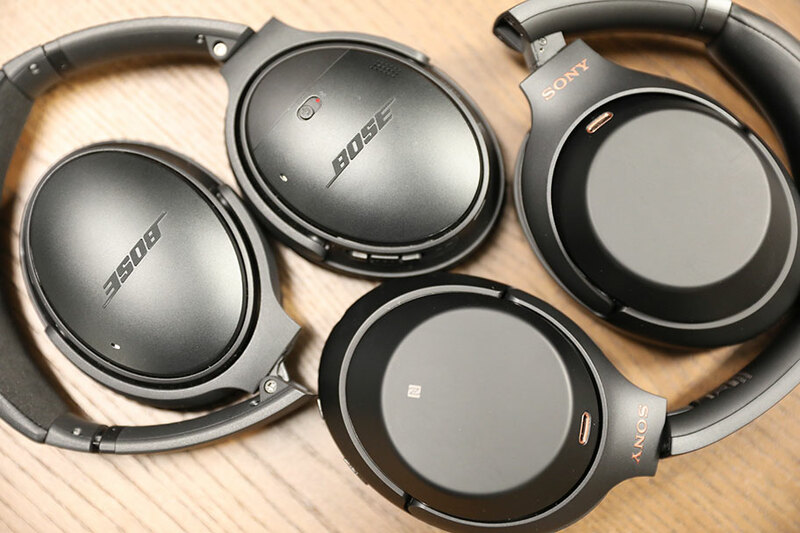 We've tested both the Bose and the Sony on numerous transatlantic flights, and we just think the Bose do a better overall job. For noise-canceling, they remain the top pick, easily beating not just the Sony but models like the $400 Sennheiser HD1 Wireless. What We Like: They take the concept of true wireless earbuds and supercharge it. What We Don't: No magnetic lock inside case, control issues. True wireless earbuds feel like a genuine revolution, a huge step-up from the standard wireless earbuds that remain joined by a single cord. The Jabra Elite Active 65t are everything that is good and pure and wonderful about true wireless buds. They have effortless fit, and it's nearly impossible to dislodge them. They deliver crystal-clear sound quality, and fantastic call quality. Compared to models like the $199 Bose Soundsport Free, they are both cheaper and offer a much better experience. We love our pair, which are always in rotation - especially at the gym, where they are truly convenient. What We Like: Affordable, great sound, simple to setup and use. What We Don't: Not as rugged as we'd like. True wireless earbuds are great for the gym, but for running in outdoor conditions, a traditional pair of wireless buds are still king. The new Jaybird X4 Sport are the supreme rulers here. This upgrade on the X3 offers improved battery life and Bluetooth, as well as access to smart assistants. 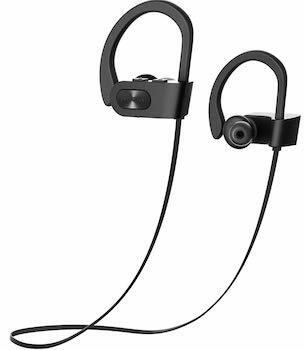 They are also priced very reasonably - at $130, they may be more expensive than the $79 Optoma NuForce BE Sport4, below, but it really does feel like you get a lot more than the extra $60 would promise. We do wish they didn't feel quite so flimsy - the build quality is fine, but they're not as rugged or robust as we'd like. All the same, they stay locked-in when running with very few microphonics (noises when you bump the cable, a well-known bane among runners). It's worth noting that this model has a twin sister, the Tarah. These are a virtually identical pair to the X4, with slightly less battery life - six versus eight hours - and a reduced price of $100. Honestly: get the X4s instead. They are better, and cost only a little more. The Tarah buds are fine, but we couldn't justify including both on this list when they are so similar. What We Like: Outstanding sound for the price, excellent battery life. What We Don't: Slightly misleading specs, annoying controls. Budget wireless headphones can be terrible. Below roughly $70, things can get pretty hairy. But the Tribit XFree Tune are one of the few models that really deliver. For $50, we haven't heard better sound quality. It feels punchy and crisp, with delivery that is easily comparable to the more expensive Bose Soundsport Free, which go for $199. The build is acceptable, especially for the price, and the battery life is good, too. At 25 hours on reasonable volume, they are beaten only by our top-ranked headphones, the Sony WH-1000XM3s. Those offer 28.5 hours of battery - but they also cost $348. However, Tribit also prominently advertise "up to" 40 hours of battery life under certain conditions. Given that these conditions involve unacceptably-low volume levels, we don't think this estimate is fair, and it does sour the experience a little. It's also pointless, given how good the battery life is already, to try inflate it further - who wouldn't be satisfied with an entire day of continuous playback? The controls, too, could use a rethink: right now they feel a little clunky and hard-to-use. Regardless, these are an otherwise solid pair of headphones, and easily deliver the best value on this list. What We Like: Gorgeous design, near-perfect sound. What We Don't: Features no longer make it stand out from the crowd. These aren't the most expensive wireless headphones we've ever come across - those would arguably be the Beyerdynamic Amiron Wireless, which retail for $699. But if you're going to spend money on a truly excellent pair of high-end wireless headphones, we'd advocate getting the Bowers & Wilkins PX. They are the perfect combination of crystal-clear sound and excellent, luxurious design. We loved wearing these, and never got tired of their premium comfort or stunning audio realism. They are just magnificent. And at $389, you get an awful lot for your money. The problem is, as good as they are, the technological features they offer feel a bit mundane now. Pulling the earcup away to pause the music is pretty cool, as is offering different environment filters for the noise-canceling. But they are nothing that the cheaper and far-less-luxurious Sony WH-1000XM3s aren't doing. Then again, you don't buy these for advanced features. You buy them because you want a pair of wireless headphones that make you feel truly special. What We Like: Among the best-sounding true wireless earbuds available. What We Don't: A little boring. The Bose SoundSport Frees might not be the prettiest buds on the market, but they certainly rank well on our list of wireless earbuds based on their sound quality. Out of all the earbuds we have listed here, the SoundSport Frees are, by far, the best for listening purposes. They have a wide, open soundstage, punchy but not overpowering bass with no distortion, a crisp and clear mid-range, and great volume. They're also loud enough that you'll never find yourself cranking them to full. The connectivity on these is great, as is the range: we got up to forty feet away from our pair, without any issues. The battery also lasts a full four hours on a single charge, and the touch controls work accurately. The SoundSport Frees are comfortable and fit well in the ear, without sitting too far in the ear canal - though this does cause them to stick out a bit. They have rubber grips on the side, along with the controls, and super soft eartips. Our problem with them is that they just don't feel like a premium product - there's a dullness to the design and packaging, a lack of excitement in the sound. It's not that the audio quality isn't good - it is - but it made us feel like we'd bought a tool, rather than a toy. 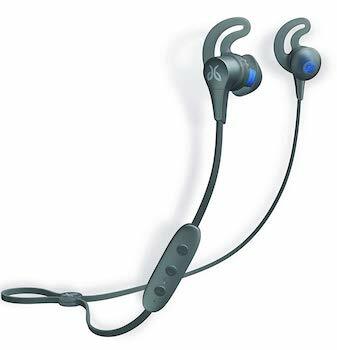 As good as these are, they come second to the Jabra Elite Active 65t. What We Like: Intuitive design, great charging case. What We Don't: Battery life can vary greatly with activity, no water resistance. Apple did very well with the AirPods, which feel like a genuine improvement over the wired EarPods. They get several important things right, many of which make them an easy top-ten wireless pick. Their design is simple and effective - even if you aren't a fan of the way they stick out of the ears, it's hard not to be impressed by how easy they are to setup and use. You can use them perfectly well with an Android phone, through standard Bluetooth pairing, but they will automatically pair with any newer-generation iPhone. They also have a fantastic little charging case, with a magnetic clip to keep the AirPods from falling out - something our top-ranked Jabra Elite Active 65t earbuds can't boast. 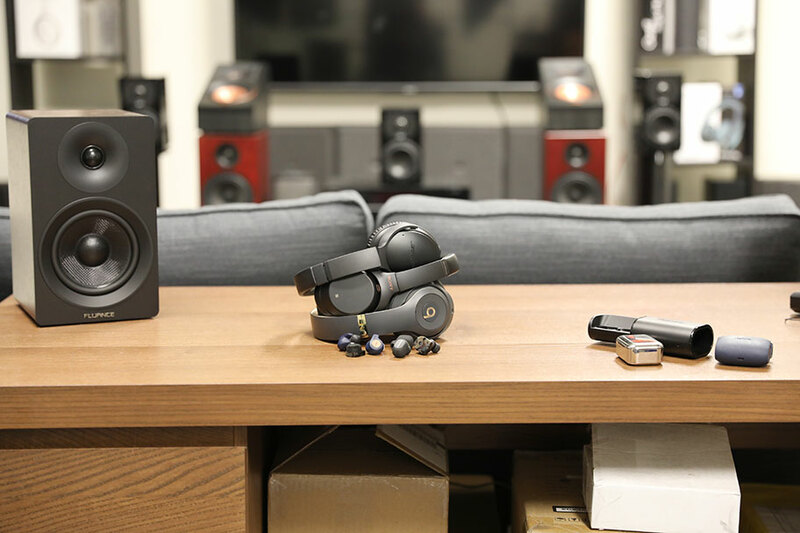 What We Like: Terrific fit, good sound for the price. What We Don't: Doesn't really improve all that much on the previous model. Optoma make some excellent wireless headphones. 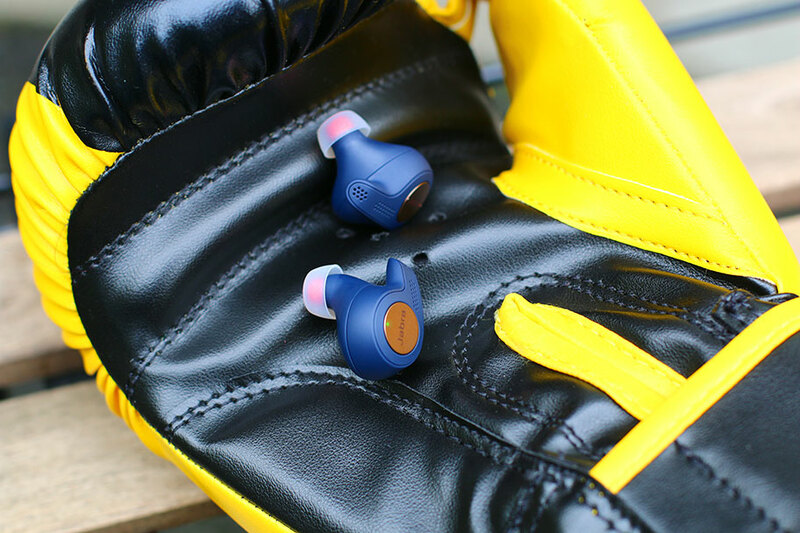 Their nuForce BE Sport range has always been worth a look - we've tested several in the past, and they've impressed us with their value and good sound quality. For under $100, the new Optoma NuForce BE Sport4 manage to deliver decent sound. 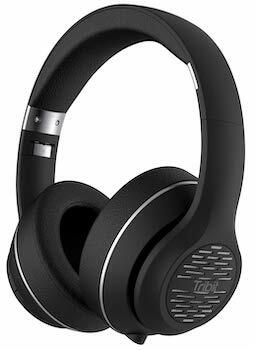 They have a well-defined mid-range that manages to cut through the noise of the outside world, even if you're in a busy gym, or on a commute. It must be said that we think it's worth your time to buy a slightly more expensive and fully-featured set of earbuds, like the Jabra Elite Active 65t, above. Those offer far more value than these do, despite the latter's low price. The BE Sport4 aren't a huge leap forward from the previous model. As good as they are, we don't feel like they are a top five pick - especially in a world where the Jaybird X4s exist. Consider these a solid 8/10. Good, but not quite the best. What We Like: Tight and compact sound, premium design. What We Don't: Very old-school for a pair of true wireless earbuds, case is a magnet for fingerprints. We were excited for the Master & Dynamic MW07. 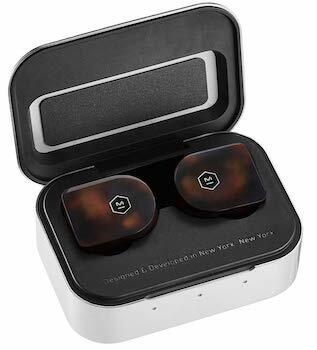 The New York company makes some phenomenal headphones, and their first attempt at true wireless earbuds was bound to be worth listening to. There's no doubt in our mind that these are a top ten pick. Having spent some time with them, we can say they sound fantastic, with tight, compact audio quality and fabulous detail. The tortoiseshell acetate housing looks phenomenal, too, and it genuinely feels like these are worth the premium price. Given that they are $100 more expensive than the Bose Soundsport Free, that's saying something. What We Like: Great looks and portability. What We Don't: Quite pricey, and they're a little old now. The Sennheiser HD1 - previously known as the Momentum Wireless, for reasons too utterly boring to explain here - are superb. The multi-function controls are easily accessible from the rim edge of the earcups. There are also not one but several miniature mics - two for hands free calling (when paired with your smartphone) and a further four for the built in NoiseGard active noise-cancelation circuit. Interestingly, after being auditioned in a passive mode and then switched to an active mode - especially with the NoiseGard (ANC) circuit on - the sound character changes quite substantially for the better. In its intended wireless Bluetooth mode, the audio is rich and uninterrupted. This is thanks to the Bluetooth version 4.0, and the aptX helps enormously - whether you use the HD1s for music, movie soundtracks or for playing games. As with many headphones in this price range, the included accessories are top notch, and the elegant carry case is perfect for protection. They are quite old now, hence their low position on the list, but we still really like them...Read our in-depth review of the Momentum Wireless - same cans, different name. What We Like: The most comfortable headphones ever made - now wireless. What We Don't: Poor app, still quite bulky. The original Beyerdynamic Amiron Home headphones were outstanding, and super-comfortable to wear. The Amiron Wireless take those headphones, wedge aptX Bluetooth into them, and set them free. You get the same effortless, balanced sound quality, and the same perfect earcups and clamping pressure. You can wear these for hours without complaint, and although there's no noise-canceling, the big earcups provide solid isolation. But it's those big cups that are the Amiron Wireless' achilles heel. 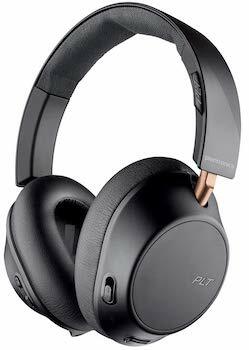 The headphones are very bulky for a wireless model - compare them to the less-expensive Bowers & Wilkins PX, above, which are cheaper and far more svelte. They also have an app that really needs a second pass from Beyerdynamic. The Amiron Wireless are excellent headphones, but as a pair of wireless headphones, they have some shortcomings. We'd recommend these an alternative if you can't find the PX, or if you want wireless listening and aren't worried about a bulky pair of cans. 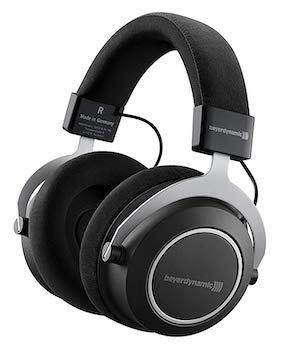 Oh, and if you see the smaller Beyerdynamic Aventho Wireless model, steer clear. They are awful. What We Like: Supremely fancy design. V-Moda really want you to believe that the Crossfade 2 Wireless are a premium pair of headphones, custom built by Italian craftsmen. Yeah…not so much. Don't get us wrong: we enjoyed using them immensely, and they are definitely worth the asking price. But subtle these are not. They're a major improvement on the original Crossfade, being far more comfortable and versatile (as well as finally being foldable) but they're definitely an acquired taste. What We Like: Latest generation four-driver design, superb fit. What We Don't: One of the most expensive options on the market. Let's start with that price - paying one thousand dollars for a pair of wireless earbuds is probably a luxury only a selected few can stomach. The Shure SE846 in question here are the most expensive pair of wireless headphones on this list. You might say that price is just nuts - two and a half times more expensive than the Bowers & Wilkins PX up at number six or the Sennheiser HD1 at number 11. However, they almost justify the price by being extremely good, thanks to the quad drivers nested within each earbud. If that leaves you somewhat puzzled, we'll clarify - the four high definition drivers are dedicated to ''splitting'' the fundamental frequency bands: bass, mid, and high. With each frequency band being portrayed with such extreme clarity, the overall result is quite stupefying actually. It's like the aural equivalent to seeing a 3D movie for the first time. One thing worth noting is that these buds are sound isolating and not noise-canceling. This essentially means they are relying on their air-tight fit within the ear to block outside noise. The provided fitting options are numerous - flex, foam, flange etc. - and super comfy. To top it off, they have a staggering amount of bass. The SE846's are one of the select earbuds that truly deliver the trouser-flipping sensation of standing next to a real subwoofer. The wireless performance is superb, and although they don't support aptX, Shure have employed a high definition Bluetooth codec called SBC. That being said, if you're lucky enough to afford a pair, you certainly won't regret it. And if you're interested, we think they'd go perfectly with a bassy DAP. What We Like: Improved design and a super-robust build quality. What We Don't: Noise cancelation is average. In just a few short years, Plantronics have managed to assert themselves as one of the viable alternatives to more established headphone name brands. While the BackBeat GO 810s have quite a bulky over-ear design, they effortlessly manage to capture some of the current esthetic trends. The super-robust build quality, which has become one of the brand's strong selling points, is immediately evident here. The large earpads and memory foam headband offer a great fit and a long-lasting comfort. The BackBeat GO 810s do feature an active noise cancelation circuit, but we need to clarify that it's only average in comparison to Audio-Technica, Sennheiser, Bose, and the likes. However, the sound quality manages to compensate for the sub-par noise-canceling. And although you won't find high definition streaming modes like aptX, the GO 810s are great for casual listening. In wireless mode, these cans can be used for hands free calling with their rocksteady Bluetooth pairing. Just like so many other models on our list, you have the option to also use them as a wired pair of headphones. We found the BackBeat app somewhat basic - it promises control over noise cancelation and equalisation - but we've seen better apps out there. Overall, the looks, comfort, and audio quality of the GO 810s result in a winning formula. You should definitely give them a chance. What We Like: An affordable pair of true wireless earbuds. What We Don't: Poor battery life, clunky design, large case. True wireless earbuds tend to be expensive. The Pioneer C8, however, prove that this doesn't have to be the case. For $100, you get a perfectly competent pair of earbuds with highly acceptable sound quality. They allow you to experience true wireless audio without having to pay huge amounts of money - and in terms of budget wireless earbuds, they are among the best. What We Like: Ideal for those on a budget, water resistant. What We Don't: Flimsy build, cynical Amazon listing. We don't believe wireless headphones should be the preserve of those with a ton of cash to spend. Several models on our list are affordable, and although the MPOW Flame aren't nearly as good as the $50 Tribit XTune Free, they remain a solid option for twenty dollars. If you want a basic pair of earbuds for simple wireless listening, these have a great reputation - having tested them, we'd agree. They also have reasonable battery life, and IPX7 waterproofing, meaning they can be immersed in three feet of water for half an hour. In this way, they are better than the $199 Bose Soundsport Free, which are IPX4. Don't expect exceptional build quality, however - the MPOW Flames are relatively flimsy, unlikely to survive a drop. We also aren't particularly impressed with MPOW's Amazon listing for the Flames. 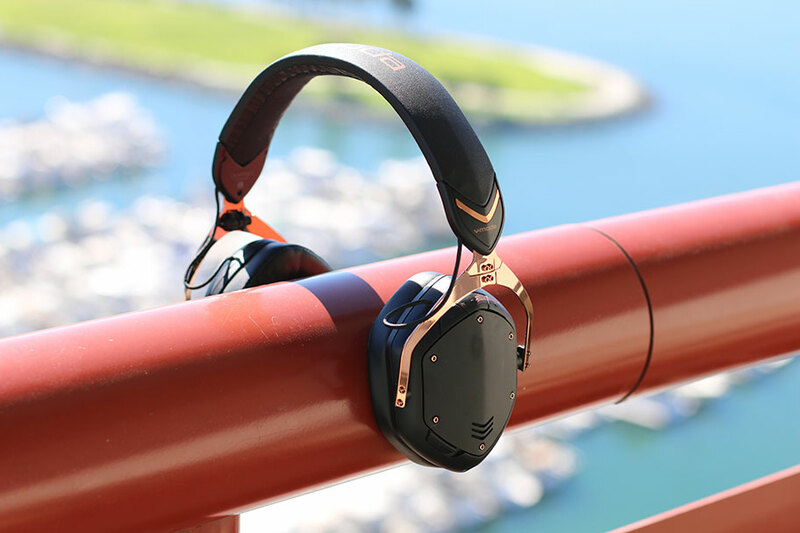 It states that they have CVC 6.0 noise-canceling, which is entirely accurate - it's a type of noise-canceling that blocks out wind noise during calls. It works well, but it's not a widely-known piece of tech. We'd submit that most people reading the listing would think that the MPOW has some sort of cancelation that works when music is playing. But they don't, and that means it's hard to get behind these for a higher spot on the list. What We Like: Gets rid of most noise from the world around you. What We Don't: Overpriced, awful sound quality. You'll see the Beats by Dre Studio3 Wireless on plenty of other wireless headphone lists, with other reviewers extolling their bass, volume, and build quality. We don't get it. Our test of the Studio3 Wireless went so badly that we thought they were broken. TMS Deputy Editor Alyssa took the unusual step of tracking down additional pairs to confirm this. As it turns out, they weren't broken - they just sounded terrible. We have no qualms about telling you to avoid these, no matter how many people you see wearing them. Despite testing dozens of different headphones every month, we're always on the lookout for the next best thing. Two of our favorite headphone brands, Jabra and Audio-Technica, have announced new headphones for this year: the Jabra Elite 85h and the ATH-ANC900BT respectively. These both promise extended battery life, and high resolution wireless audio has been given special attention. 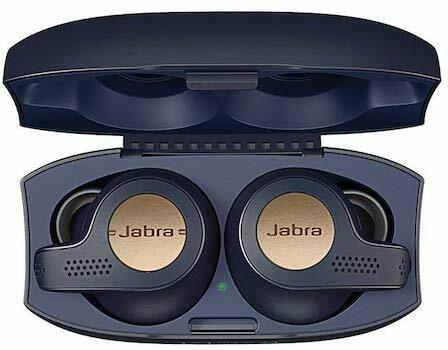 We're especially excited for the Jabras; their Elite Active 65t true wireless earbuds, already on this list, are excellent. On top of those releases, a multitude of companies have announced new models for this year. 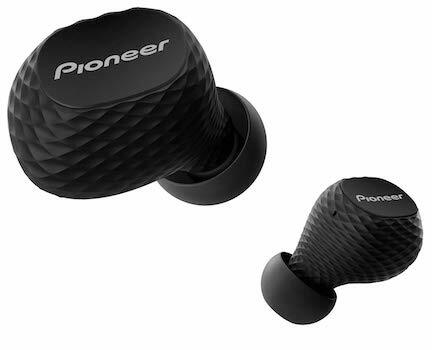 The Pioneer S9 wireless headphones look superb, featuring active noise-canceling, Google Assistant, and aptX Bluetooth. We can't wait to test them out. And we are more than intrigued by the Technics F70, which feature a breakthrough wireless audio codec - up to 24bit/96kHz over Bluetooth via Sony's new LDAC technology. If you're considering purchasing the Beyerdynamic Amiron Wireless, at number 12 on our list, you might want to wait a bit. The eagerly-awaited Lagoon wireless headphones have active noise-canceling, and will be similarly priced upon release. Sometimes it feels like we see nothing but wireless headphones for weeks on end. We don't mean that as a complaint – there's just a constant stream of new models into our offices. We love pitting them against one another, and choosing our favorites. 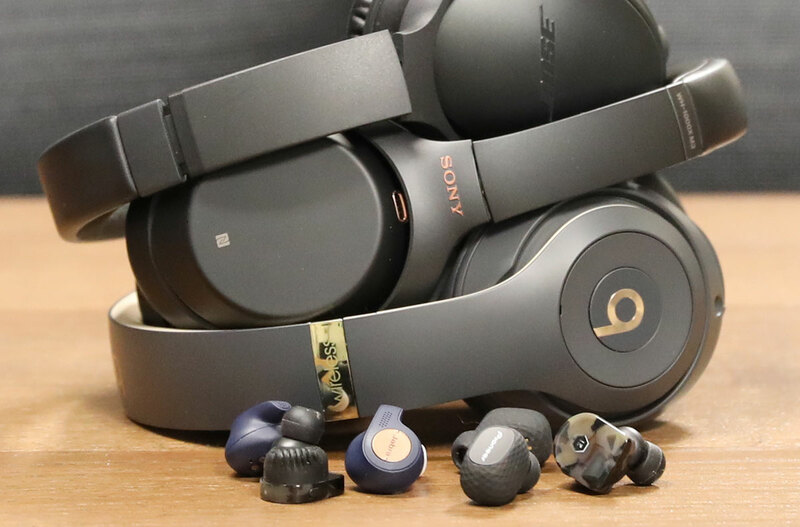 To get the list, we looked at which headphones were best in certain key categories, such as best noise-canceling, best earbuds, best budget, and more. To get the winners in these categories, we looked not only at sound quality and design, but also ease-of-use and value-for-money. The problem we faced is that there are hundreds and hundreds of models available, and no list can be completely exhaustive. We genuinely believe our choices represent the best available, but we are always up for debating our choices. If you disagree with us, or want to point us to a model we've missed, please fight us (nicely) in the comments below. On the surface, this debate is quite simple. Traditional wired headphones offer better sound quality, which wireless headphones sacrifice for portability and convenience. The problem is, it's not 2008 anymore, and the debate is a little bit more complicated. To understand why, you need to know a little bit about how headphones work. Very obviously, they need power to be able to make sound. This power is provided via a headphone amplifier, which generates the electricity needed to drive the headphones, while at the same time polishes and sharps the sound. As a general rule, the bigger and more expensive a headphone amplifier is, the better the sound quality will be, and the more power it will deliver. A dedicated $2,000 amplifier will deliver better sound quality than the tiny headphone amp in your smartphone - although in most cases, a smartphone amp is perfectly acceptable. Wireless headphones need amplifiers too. In this case, the amp is actually contained within the headphones themselves. On the one hand, this does mean that there are limitations to the power and quality they provide – and traditionally, they have not delivered sound that is quite as good as wired headphones powered by an external amplifier. But it isn't quite that simple. Wired headphones do not have any control over the type of amplifier they are connected to, whereas wireless headphones obviously do. This allows you fine-grained control over the sound, as well as having an amplifier that has been tuned to the specific type of headphones. Couple that with advances in Bluetooth streaming – which we talk about below – and you have a situation where wireless headphones are actually more than capable of standing up to their wired counterparts, in terms of sound quality. As an example, we'd put the $348 Sony WH-1000XM3 (full review here) up against any similarly priced wired pair. They not only offer comparable sound quality, but they give you a ton of control over the actual sound itself. Of course, wireless headphones have another significant advantage of that wired models will never be able to replicate: they are convenient and portable. A pair of true wireless earbuds is, at this particular point in time, the single most convenient and hassle-free way to listen to music, abandoning wires entirely. Ultimately, at this point, there is no reason for any music fan not to own a pair of wireless headphones, even if they are adamant that wired ones offer better sound quality. Being able to listen to your music on-the-go is one of the greatest pleasures we can think of – and if you pick up any of the headphones on the list above, you'll enjoy it even more. Because why not confuse people with a marketing term? Yes: the term True Wireless is needlessly confusing, and deeply annoying. It just sounds so pretentious. 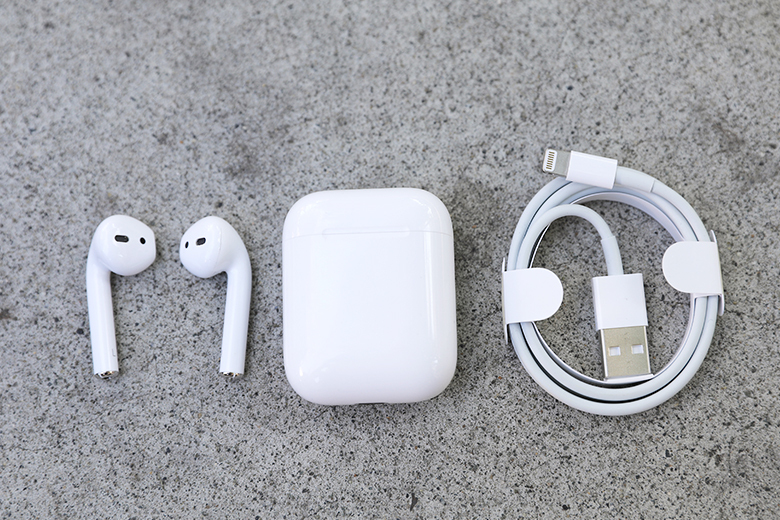 It's a term that refers to earbuds (in-ear headphones). All the earbuds on our list are wireless, in that they are not connected to their playback source. But some are further designated - by whichever ridiculous industry body decides these things - as True Wireless. That means that, in addition to not being physically connected to their playback source, the individual buds are not connected to each other. A master bud transmits the Bluetooth signal to the secondary bud, bouncing it across. As an example: the Jaybird X4 Sport are wireless, and the more expensive Jabra Elite Active 65t (full review here) are True Wireless. No, it isn't just a simple as a pair of headphones lasting for the exact amount of hours that the manufacturer specifies. That would be useful, but sadly, it's often untrue. This isn't because the manufacturers are duplicitous. It's just that they use various tricks to get the most out of their official headphone battery life, in order to use it in their marketing, and advertise how many hours the headphones will run for. We suggest taking every battery life figure you see with a grain of salt. Here's why. To get their battery life figures, what manufacturers do is typically run the headphones in ideal conditions. They will run them at anywhere between 50-70% of maximum volume – lower volume means less power means extended battery life – and they will almost certainly do this in thermal conditions that help the battery last longer. What that means is that if the manufacturer says you will get forty hours of battery life out of something, like the $50 Tribit XFree Tune, you won't be able to unless you replicate those exact conditions. Which, because we all play our headphones at different volumes and in different conditions, is unlikely. In our tests, the Tribit headphones clocked around 25 hours, which is still pretty respectable. The good news: normally, the variance is between half an hour and an hour from the stated figure, and even though you aren't likely to get as much battery life as advertised, you should still get more than enough. For reference, the headphones that perform the best on this list, in terms of battery life, are the $348 Sony WH-1000XM3. They offer a whopping 30 hours of battery life, and they get pretty close to that - our tests peaked at 28.5 hours, at a moderate volume. Not happy with your battery life? There are a few things you can do to improve it. If possible, turn off noise-cancelation. If you're going to be in one position for a while – such as in an airplane seat or at your desk – you should make sure to use the wired option, if your headphones have one. That will mean that the internal battery doesn't have to be drained. Noise cancelation - or Active Noise Cancelation (ANC) - is about making sure you can't hear the outside world while listening to music. It relies on a process called phase reversal. The active circuit within noise-canceling headphones incorporates tiny microphones 'monitoring' the surrounding ambient sounds. The mics feed the external sounds into a noise cancelation mini-speaker (present in the headphones cups). They then playback these external sounds in real time, but with an inverted phase (direction) to that of the original sound. The two ambient sounds - the real and the reversed - cancel each other out, like two ocean waves crashing into each. Science! Boom! The process results in a greatly reduced environment volume, and even complete silence. In most cases, not all external sounds can be kept out - active noise suppression is at its most effective when applied on low frequencies such as deep hums, long crowd chatter, rumble noise, etc. Constant or sustained sounds are easier to tame with active noise reduction, while short, sudden clicks, bumps, or snaps are tougher. For higher frequencies in particular, passive treatments (think good ear isolation) are still very effective for noise suppression. It's why headphones like the Shure SE846 are so good, because they fit so well. They seal the ear canal so effectively that they do not need active noise-cancelation. What happens if you 'un-reverse' the direction of the canceled ambient noise? You'll suddenly be able to hear everything around and this process is often called 'ambience aware' mode - many headphones now feature a switch, allowing you to do exactly that. Handy for those moments that you might actually need your ears. The best noise-canceling headphones on our list, by the way, are the Bose QuietComfort 35 II (full review here). Unquestionably. For $349, they offer absolutely brilliant cancelation. Any pair of wireless headphones will have a list of specs relating to its Bluetooth compatibility. These specs can often be very confusing, and it's easy to get lost. Fortunately, the different types of Bluetooth are easy to understand, with just a little explanation. 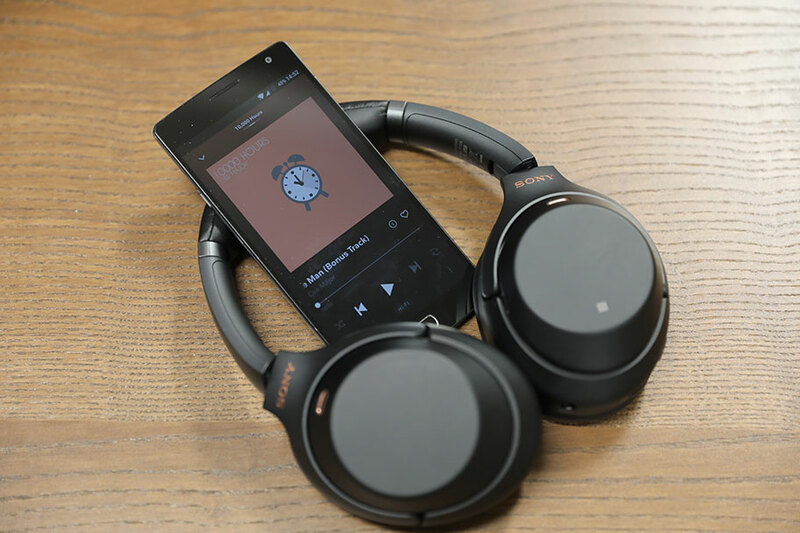 There are two main things you need to be aware of: the Bluetooth version (indicated by number like 4.2 or 5.0) and whether or not a pair of headphones has something called aptX. Bluetooth, very obviously, is how you get sound from your playback device to the headphones. It's a transmission protocol that takes the audio data, and sends it wirelessly to a receiver in the headphones themselves. The more data that can be sent, the faster it arrives, and the less energy it uses, the better. In this context, understanding the little number in your headphones specs is pretty straightforward. Bluetooth 5.0 is better than Bluetooth 4.2, which is better than Bluetooth 4.0. The leading edge of tech right now is Bluetooth 5.0, which not only transmits two megabytes per second - double the amount of data that Bluetooth 4.2 transmits – but also allows for the inclusion of some nifty features. 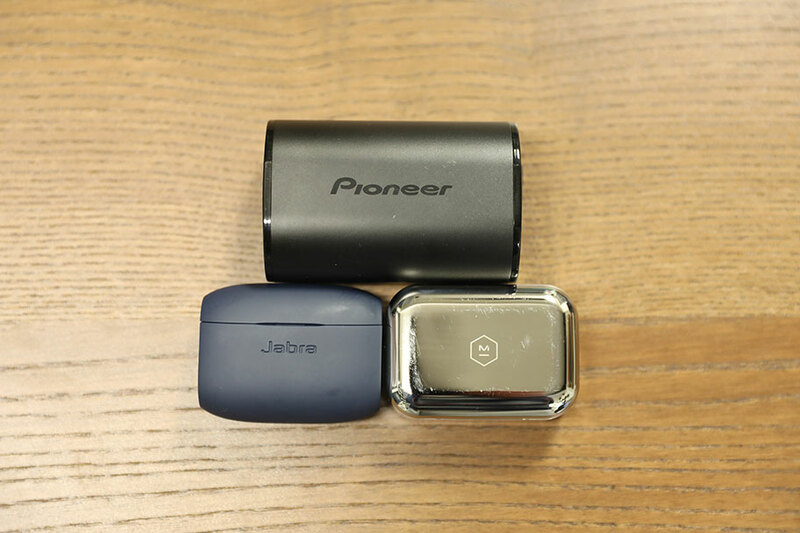 It uses a feature called Bluetooth Low Energy to spare your battery, and it allows you to connect more than one pair of headphones to a single device. That being said: very few of the wireless headphones on our list actually use Bluetooth 5.0 – only the $190 Jabra Elite Active 65t (full review here) has it. Even the most expensive headphones on the list, the Beyerdynamic Amiron Wireless, only have 4.1. That's because right now, Bluetooth 5.0 is largely restricted to transmission devices, like smartphones. This isn't too big of a deal – Bluetooth standards are pretty good, even at 4.1 or 4.2. You can also expect to see plenty of 5.0 headphones in the future, which means even better sound quality. Of course, none of that explains what aptX is. For any data to be sent along a Bluetooth connection, it has to be compressed. The lower the file size, the easier it is to send the data. The problem is, compression can do horrible things to audio, as anyone who has heard a low-resolution MP3 file can attest to. But there are many different ways of compressing audio, and aptX is currently one of the best ways to do so. Think about it like this: the Bluetooth version, described above, is a highway. Higher versions of Bluetooth, like 5.0, are highways that are wider and have much higher speed limits. The people on the highway - the families, office workers, bikers - are the data, and the compression methods are the cars themselves. Very obviously, the people on the highway will be faster and more maneuverable in Ferraris than they would be in Honda Priuses. Right now, aptX is the Ferrari of the compression world. If you see it listed in our specs table above, you know the sound is going to be good. It used to be the case that aptX would only appear in more expensive wireless headphones, but this is no longer true. As an example, the Optoma NuForce BE Sport4, which cost a mere $79, contain aptX transmission. One word of caution about aptX. For it to work, both the transmission device and the receiving device need to have it. In other words, if your smartphone can compress data using aptX, but your wireless headphones don't have the ability to receive it, then the aptX won't work. You'll still get audio, but it won't be as high quality. It's worth taking a look at the specs of your particular smartphone, tablet, or PC, to determine whether or not it is capable of aptX transmission. You'll be able to find these details quite easily, using a quick Google search. These days, many wireless headphones allow you to quickly and efficiently access a virtual assistant. With a single touch of a button and a few words, you can have the assistant tell you the weather, give you directions, set an appointment, or play a specific song or playlist. The three main virtual assistants currently available are Amazon Alexa, Google Assistant, and Apple's Siri. The differences between them are explored in a lot more detail here. It's worth understanding just how smart assistants work with wireless headphones. Let's say you use a smartphone which contains a virtual assistant – an example would be any Android phone, which contains the Google Assistant. If you use a pair of wireless headphones without a dedicated smart assistant button, like the $300 Master & Dynamic MW07, you would have to fish your phone out of your pocket to activate the smart assistant. Once you've woken it up, you can use the internal microphone in the headphones to talk to it, and get it to do your bidding. The beauty of many wireless headphones now is that they remove that step entirely. You now no longer need to take your phone out of your pocket. You can simply tap a button on the headphones themselves, and issue a command. It will link directly with the smart assistant, and in most cases, it works seamlessly. As an example, the Bose QuietComfort 35 II have a dedicated button that lets you summon Google Assistant, or Amazon Alexa. If this kind of functionality is important, then we'd strongly recommend going for a pair of headphones that supports this kind of interaction. If you see any smart assistants listed in our specs table above, the headphones will be able to summon them directly, without you having to take your phone out of your pocket. The obvious differences such as size and shape are important when choosing one type over the other, as they may affect a particular hairstyle, or the wearing of hats, helmets, glasses, and earrings. Wearing glasses or headgear may affect the comfort and sound quality of your headphones - so it's crucial to pick a type you're comfortable with. And comfort can be a legitimate reason why you'd consider the earbud option, as opposed to over-ear headphones. If you were looking at headphones but hadn't considered earbuds until now, you might want to check out the Jaybird X4 Sport, which cost $130 and absolutely crush it. Over-ear, or on-ear, models are a little bit different. They cover your entire ear, and are the type to choose if you're OK with a little bit of extra weight and bulk, in exchange for improved sound quality. By the way, headphone makers like to confuse people - so if you see the terms circumaural or supra-aural, they literally just mean over-ear and on-ear, respectively. The $348 Sony WH-1000XM3 are the best pair of wireless over-ear headphones currently available. 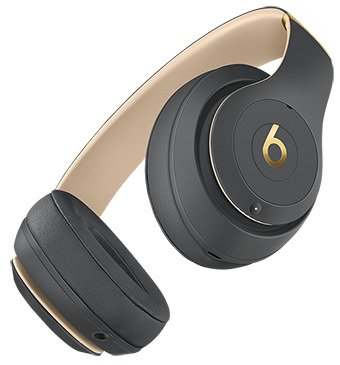 Open-back headphones refer to models where the outer part of the housing isn't solid. Instead, it takes the form of a grille, through which you can usually see the internal driver. The advantage of this is that the air that interacts with the driver vastly improves the sound signature, making it, quite literally, more airy, with much more space and detail. The downside of these headphones is that they leak sound like crazy. There's nothing to prevent the noise the driver makes from emanating out through the grille, not just into your ear. That means that everyone else around you is likely to hear what you're listening to. As wireless headphones, by definition, are designed to be used in places with other people – planes, trains, buses, workplaces – you would think it's probably not the best choice to have open-back wireless headphones. Or at least, that used to be the case. Legendary headphone manufacturer, Grado, recently released the world's first pair of open back wireless headphones, the GW100. They cost $249, and promise to combine airy, open back sound with a unique housing that reduces the amount of audio leakage by up to 60%. Why are they not on our list? Because at the time of writing, we haven't heard them – Grado have promised us a pair, but they haven't arrived yet. We don't want to make any judgements until we've tested them ourselves, but having heard models from the company in the past, we are confident that they can pull it off. We will report back.